Plans for a larger-than-life statue of Margaret Thatcher to be erected in Parliament Square have been rejected. Westminster Council’s planning committee members unanimously decided to block the proposal on Tuesday evening. The “life size-and-a-half” statue would have been placed on a plinth looking towards the Palace of Westminster. Ir was to feature Baroness Thatcher dressed in her peers’ robes. But councillors agreed this did not reflect her importance in history as a Prime Minister. The meeting also agreed that the statue should first receive approval from the Thatcher family before getting the go-ahead. It comes after plans went back to members of Westminster city council’s planning applications sub-committee six months after it was axed over vandalism fears. The original idea for the memorial to Baroness Thatcher, who died in 2013, was blocked in July over fears it would be attacked and the new plans include building a four metre-high granite plinth for it to stand on and minimising “any ledges or other protuberance that could be used as climbing aids”. Westminster City Council chairman of planning, Cllr Richard Beddoe, said: “The lack of family support and the committee’s concerns around the design of the proposed statue were the key determining factors in turning down this application. 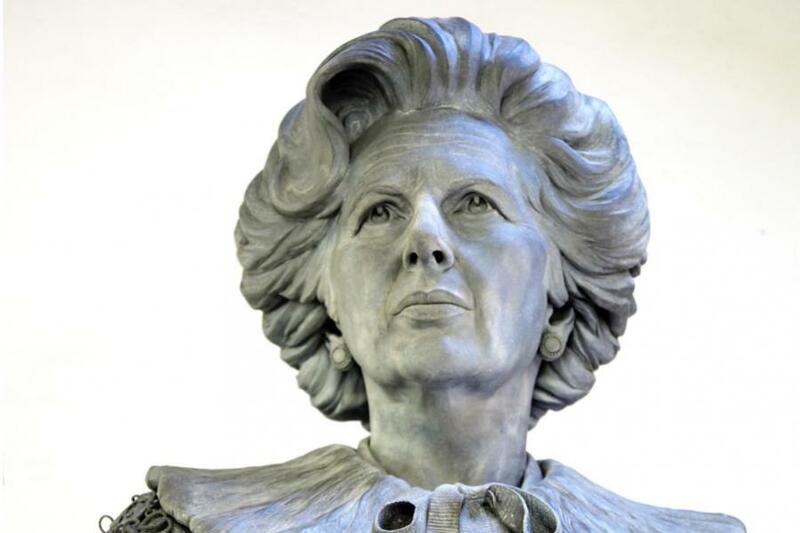 “As our country’s first female Prime Minister Baroness Thatcher is a hugely significant figure in British history andin principle the council is infavour of a statuecommemorating her in Parliament Square, but it must be the right statue, with an appropriate design and the support of her family. The so called `ten year rule’ was not a reason for refusal in this case.